A star golfer misses a critical putt; a brilliant student fails to ace a test; a savvy salesperson blows a key presentation. Each of these people has suffered the same bump in mental processing: They have just choked under pressure. It’s tempting to dismiss such failures as “just nerves.” But to University of Chicago psychologist Sian Beilock, they are preventable results of information logjams in the brain. By studying how the brain works when we are doing our best — and when we choke — Beilock has formulated practical ideas about how to overcome performance lapses at critical moments. “Choking is suboptimal performance, not just poor performance. It’s a performance that is inferior to what you can do and have done in the past and occurs when you feel pressure to get everything right,” said Beilock, an associate professor in psychology. 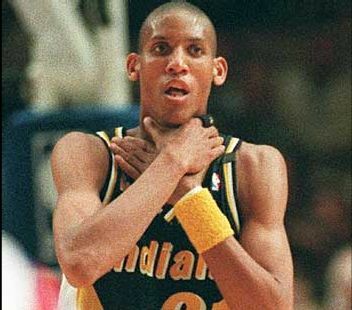 Preventing choking in sports Some of the most spectacular and memorable moments of choking occur in sports when the whole world is watching. Many remember golfer Greg Norman’s choke at the 1996 U.S. Masters. Norman had played brilliantly for the first three days of the tournament, taking a huge lead. But on the final day, his performance took a dive, and he ended the Masters five shots out of first place. Choking in such cases happens when the polished programs executed by the brains of extremely accomplished athletes go awry. In “Choke,” Beilock recounts famous examples of these malfunctions in the context of brain science to tell the story of why people choke and what can be done to alleviate it. Thinking too much about what you are doing, because you are worried about losing the lead (as in Norman’s case) or worrying about failing in general, can lead to “paralysis by analysis.” In a nutshell, paralysis by analysis occurs when people try to control every aspect of what they are doing in an attempt to ensure success. Unfortunately, this increased control can backfire, disrupting what was once a fluid, flawless performance. “My research team and I have found that highly skilled golfers are more likely to hole a simple 3-foot putt when we give them the tools to stop analyzing their shot, to stop thinking,” Beilock said. “Highly practiced putts run better when you don’t try to control every aspect of performance.” Even a simple trick of singing helps prevent portions of the brain that might interfere with performance from taking over, Beilock’s research shows. Preventing choking on tests and in business The brain also can work to sabotage performance in ways other than paralysis by analysis. For instance, pressure-filled situations can deplete a part of the brain’s processing power known as working memory, which is critical to many everyday activities. Beilock’s work has shown the importance of working memory in helping people perform their best, in academics and in business. Working memory is lodged in the prefrontal cortex and is a sort of mental scratch pad that is temporary storage for information relevant to the task at hand, whether that task is doing a math problem at the board or responding to tough, on-the-spot questions from a client. Talented people often have the most working memory, but when worries creep up, the working memory they normally use to succeed becomes overburdened. People lose the brain power necessary to excel. One example is the phenomenon of “stereotype threat.” This is when otherwise talented people don’t perform up to their abilities because they are worried about confirming popular cultural myths that contend, for instance, that boys and girls naturally perform differently in math or that a person’s race determines his or her test performance. Beilock’s research is the basis of her new book, “Choke: What the Secrets of the Brain Reveal About Getting it Right When You Have To,” published Sept. 21 by Simon and Schuster, Free Press. In Choke, Beilock describes research demonstrating that high-achieving people underperform when they are worried about confirming a stereotype about the racial group or gender to which they belong. These worries deplete the working memory necessary for success. The perceptions take hold early in schooling and can be either reinforced or abolished by powerful role models. In one study, researchers gave standardized tests to black and white students, both before and after President Obama was elected. Black test takers performed worse than white test takers before the election. Immediately after Obama’s election, however, blacks’ performance improved so much that their scores were nearly equal with whites. When black students can overcome the worries brought on by stereotypes, because they see someone like President Obama who directly counters myths about racial variation in intelligence, their performance improves. Beilock and her colleagues also have shown that when first-grade girls believe that boys are better than girls at math, they perform more poorly on math tests. One big source of this belief? The girls’ female teachers. It turns out that elementary school teachers are often highly anxious about their own math abilities, and this anxiety is modeled from teacher to student. When the teachers serve as positive role models in math, their male and female students perform equally well. Meditation and practice can help Even when a student is not a member of a stereotyped group, tests can be challenging for the brightest people, who can clutch if anxiety taps out their mental resources. In that instance, relaxation techniques can help. In tests in her lab, Beilock and her research team gave people with no meditation experience 10 minutes of meditation training before they took a high-stakes test. Students with meditation preparation scored 87, or B+, versus the 82 or B- score of those without meditation training. This difference in performance occurred despite the fact that all students were of equal ability. Stress can undermine performance in the world of business, where competition for sales, giving high-stakes presentations or even meeting your boss in the elevator are occasions when choking can squander opportunities. Practice helps people navigate through these tosses on life’s ocean. But, more importantly, practicing under stress — even a moderate amount — helps a person feel comfortable when they find themselves standing in the line of fire, Beilock said. The experience of having dealt with stress makes those situations seem like old hat. The goal is to close the gap between practice and performance. A person also can overcome anxiety by thinking about what to say, not what not to say, said Beilock, who added that staying positive is always a good idea. BEER-SHEVA, ISRAEL, April 28, 2010 – A researcher at Ben-Gurion University of the Negev (BGU) conducted the first study of hand-clapping songs, revealing a direct link between those activities and the development of important skills in children and young adults, including university students. “We found that children in the first, second and third grades who sing these songs demonstrate skills absent in children who don’t take part in similar activities,” explains Dr. Idit Sulkin a member of BGU’s Music Science Lab in the Department of the Arts. Dr. Warren Brodsky, the music psychologist who supervised her doctoral dissertation, said Sulkin’s findings lead to the presumption that “children who don’t participate in such games may be more at risk for developmental learning problems like dyslexia and dyscalculia. As part of the study, Sulkin went to several elementary school classrooms and engaged the children in either a board of education sanctioned music appreciation program or hand-clapping songs training – each lasting a period of 10 weeks. “Within a very short period of time, the children who until then hadn’t taken part in such activities caught up in their cognitive abilities to those who did,” she said. But this finding only surfaced for the group of children undergoing hand-clapping songs training. The result led Sulkin to conclude that hand-clapping songs should be made an integral part of education for children aged six to 10, for the purpose of motor and cognitive training. 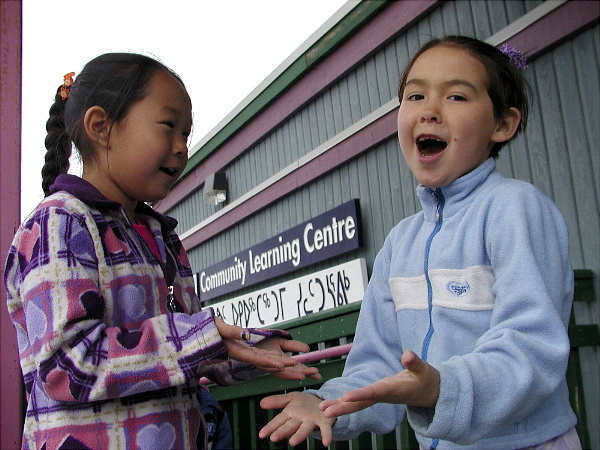 During the study, “Impact of Hand-clapping Songs on Cognitive and Motor Tasks,” Dr. Sulkin interviewed school and kindergarten teachers, visited their classrooms and joined the children in singing. Her original goal, as part of her thesis, was to figure out why children are fascinated by singing and clapping up until the end of third grade, when these pastimes are abruptly abandoned and replaced with sports. Sulkin says that no in-depth, long-term study has been conducted on the effects that hand-clapping songs have on children’s motor and cognitive skills. However, the relationship between music and intellectual development in children has been studied extensively, prompting countless parents to obtain a “Baby Mozart” CD for their children. Nevertheless, the BGU study demonstrates that listening to 10 minutes of Mozart music (.i.e., the ‘Mozart Effect’) does not improve spatial task performance compared to 10 minutes of hand-clapping songs training or 10 minutes of exposure to silence. Lastly, Sulkin discovered that hand-clapping song activity has a positive effect on adults: University students who filled out her questionnaires reported that after taking up such games, they became more focused and less tense. Sulkin grew up in a musical home. Her father, Dr. Adi Sulkin, is a well-known music educator who, in the 1970s and 1980s, recorded and published over 50 cassettes and videos depicting Israeli children’s play-songs, street-songs, holiday and seasonal songs, and singing games targeting academic skills. “So quite apart from the research experience, working on this was like a second childhood,” she noted. From ScienceDaily (Mar. 27, 2010) — Bullying is common in classrooms around the world: About 15 percent of children are victimized, leading to depression, anxiety, loneliness, and other negative outcomes. What’s driving bullies to behave the way they do? According to a new large-scale Dutch study, most bullies are motivated by the pursuit of status and affection. In their work, the researchers questioned almost 500 elementary-school children ages 9 to 12. Based on their findings, they conclude that bullies generally choose to gain status by dominating their victims. But at the same time, they try to reduce the chances that they’ll end up on the outs with other classmates by choosing as victims children who are weak and not well-liked by others. In short, even bullies care a lot about others’ affection and don’t want to lose it. Gender also plays a role. For example, the study finds that at this age, bullies only care about not losing affection from classmates of their own gender. So when boys bully boys, it doesn’t matter whether girls approve or disapprove. The same holds for girls. Moreover, boys will bully only those girls that aren’t well liked by other boys, regardless of what girls think about it, and girls will do the same in their bullying of boys. “To understand the complex nature of acceptance and rejection, it’s necessary to distinguish the gender of the bully, the gender of the target, and the gender of the classmates who accept and reject bullies and victims,” according to René Veenstra, professor of sociology at the University of Groningen, who led the study. Today I wanted to get around to doing what I have been meaning to do for a while and post a list of free access interactive and/or educational websites which I have come across. 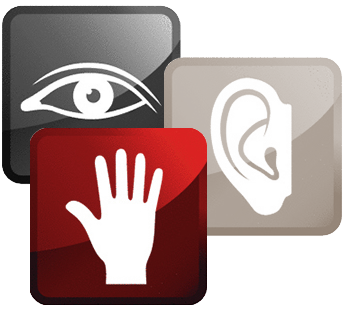 These sites are fantastic resources and each one offers a different way to get involved with your recovery. Please note I am not affiliated with any of these sites and they are not affiliate sites. I hope you find one or more useful as I know many of my clients have. There you have it! Check them out and let me know what you think. Know of any others? (No affiliate sites please). From ScienceDaily (Mar. 21, 2010) — The history of students who copy homework from classmates may be as old as school itself. But in today’s age of lecture-hall laptops and online coursework, how prevalent and damaging to the education of students has such academic dishonesty become? According to research published online March 18 in Physical Review Special Topics: Physics Education Research, it turns out that unnoticed student cheating is a significant cause of course failure nationally. A researcher from the University of Kansas has teamed up with colleagues from the Massachusetts Institute of Technology to get a better handle on copying in college in the 21st century. Young-Jin Lee, assistant professor of educational technology at KU, and the Research in Learning, Assessing and Tutoring Effectively group at MIT spent four years seeing how many copied answers MIT students submitted to MasteringPhysics, an online homework tutoring system. Lee said that it was easy to spot students who had obtained answers from classmates before completing the homework. “We ran into very interesting students who could solve the problems — very hard problems — in less than one minute, without making any mistakes,” said Lee. * Students who procrastinated also copied more often. Those who started their homework three days ahead of deadline copied less than 10 percent of their problems, while those who drug their feet until the last minute were repetitive copiers. The students who copied frequently had about three times the chance of failing the course. * Results of the survey show that students are twice as likely to copy on written homework than on online homework. * This study showed that doing all the homework assigned is “a surer route to exam success” than a preexisting aptitude for physics. Because repetitive copiers don’t adequately learn physics topics on which they copy the homework, Lee said, the research strongly implies that copying caused declining performance on analytic test problems later in the semester. At the beginning of a semester, the researchers found that copying was not as widespread as it was late in the semester. But the KU researcher and his MIT colleagues also demonstrated that changes to college course formats — such as breaking up large lecture classes into smaller “studio” classes, increasing interactions between teaching staff and students, changing the grading system — could reduce student copying fourfold. A new paper just published by Disa Sauter (2010) helps us answer this question. Psychological research into happiness has, for the most part, focused on facial expressions. It’s no wonder: most of our communication — both verbal and nonverbal — comes from our face. People across cultures understand the value of a smile and other facial expressions that point toward the emotion we call “being happy” or happiness. And we know that smiling itself can help increase positive, pro-social behaviors. […] that displays of amusement and pride were signaled by smiles, but that amused smiles tended to be open-mouthed, whereas smiles of pride had compressed lips. In contrast, awe was typically expressed with raised eyebrows and a slightly open mouth, but not with smiles. This study highlights that there is likely more than one kind of smile and that different smile configurations may communicate different affective states. Smiles are more complicated that the simple communication of happiness. They can communicate a wide range of positive emotions, depending upon their specific makeup. Using photographs of participants from over 30 nations, Tracy and Matsumoto showed that individuals who won a fight produced a number of behaviors typically associated with pride expressions, including raising their arms, tilting their head back, smiling, and expanding their chest. This configuration of cues is recognized by observers as communicating pride. Just as with pride, there are apparently a number of universally recognized human sounds that express positive emotion. Research has shown that specific emotions recognized from sounds alone include amusement, triumph, sensual pleasure (the one we’re all most familiar with!) and relief. They found that participants from two cultures (USA and Spain) could decode affective states from tactile stimulation on the arm. Emotions that were well recognized included several positive states, such as love, gratitude, and sympathy. Hertenstein et al. also showed that love was typically signaled with stroking, gratitude was communicated with a handshake, and sympathy was expressed with a patting movement. Of course, some positive emotions are not well communicated through touch, including the general sense of “happiness.” Notice that only specific positive emotions — and only certain ones — are well-communicated through touch. Pride is an example of a positive emotion that has no equivalent touch sense. What’s in a smile? A lot of information, telling the receiver of the smile whether you meant you were happy, amused, or proud. Research into human expression of positive emotions is ongoing and will explore more of these areas in years to come. What we have found so far is that not every specific positive emotion — for instance, pride — is expressed through every type of sense. As the researcher notes, “It will be interesting to consider whether ease of communication via different types of signals may relate to different “families” of emotions, such as self-conscious emotions including pride, and prosocial emotions like love.” If happiness can only be communicated through facial expressions, and not through touch, that’s good information to know when we think we’re communicating our happiness to a loved one through a specific gesture. Happiness is a core component of life and living, and is associated with helping protect us against heart disease and enhancing our overall health. We also know that gratitude tends to lead to more happiness. The better we understand how happiness is expressed to others, perhaps the more clearly we’ll be able to communicate such emotions in the future. Sauter, D. (2010). More Than Happy: The Need for Disentangling Positive Emotions. Current Directions in Psychological Science, 19. Dr. John Grohol is the CEO and founder of Psych Central. He has been writing about online behavior, mental health and psychology issues, and the intersection of technology and psychology since 1992. BERKELEY — If you see a student dozing in the library or a co-worker catching 40 winks in her cubicle, don’t roll your eyes. New research from the University of California, Berkeley, shows that an hour’s nap can dramatically boost and restore your brain power. Indeed, the findings suggest that a biphasic sleep schedule not only refreshes the mind, but can make you smarter. 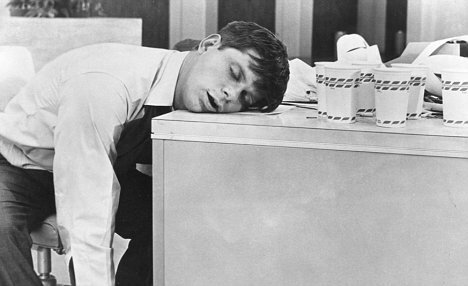 Conversely, the more hours we spend awake, the more sluggish our minds become, according to the findings. The results support previous data from the same research team that pulling an all-nighter — a common practice at college during midterms and finals — decreases the ability to cram in new facts by nearly 40 percent, due to a shutdown of brain regions during sleep deprivation. “Sleep not only rights the wrong of prolonged wakefulness but, at a neurocognitive level, it moves you beyond where you were before you took a nap,” said Matthew Walker, an assistant professor of psychology at UC Berkeley and the lead investigator of these studies. In the recent UC Berkeley sleep study, 39 healthy young adults were divided into two groups — nap and no-nap. At noon, all the participants were subjected to a rigorous learning task intended to tax the hippocampus, a region of the brain that helps store fact-based memories. Both groups performed at comparable levels. At 2 p.m., the nap group took a 90-minute siesta while the no-nap group stayed awake. Later that day, at 6 p.m., participants performed a new round of learning exercises. Those who remained awake throughout the day became worse at learning. In contrast, those who napped did markedly better and actually improved in their capacity to learn. Matthew Walker, assistant psychology professor, has found that a nap clears the brain to absorb new information. t-term memory storage and make room for new information, said Walker, who presented his preliminary findings on Sunday, Feb. 21, at the annual meeting of the American Association of the Advancement of Science (AAAS) in San Diego, Calif. 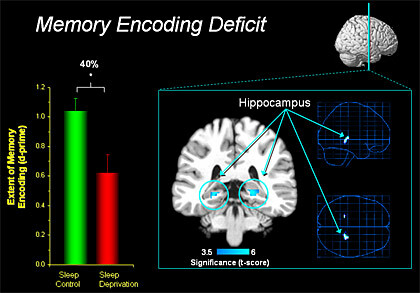 Since 2007, Walker and other sleep researchers have established that fact-based memories are temporarily stored in the hippocampus before being sent to the brain’s prefrontal cortex, which may have more storage space. “It’s as though the e-mail inbox in your hippocampus is full and, until you sleep and clear out those fact e-mails, you’re not going to receive any more mail. It’s just going to bounce until you sleep and move it into another folder,” Walker said. In the late st study, Walker and his team have broken new ground in discovering that this memory-refreshing process occurs when nappers are engaged in a specific stage of sleep. Electroencephalogram tests, which measure electrical activity in the brain, indicated that this refreshing of memory capacity is related to Stage 2 non-REM sleep, which takes place between deep sleep (non-REM) and the dream state known as Rapid Eye Movement (REM). Previously, the purpose of this stage was unclear, but the new results offer evidence as to why humans spend at least half their sleeping hours in Stage 2, non-REM, Walker said. Walker and his team will go on to investigate whether the reduction of sleep experienced by people as they get older is related to the documented decrease in our ability to learn as we age. Finding that link may be helpful in understanding such neurodegenerative conditions as Alzheimer’s disease, Walker said. In addition to Walker, co-investigators of these new findings are Bryce A. Mander and psychology undergraduate Sangeetha Santhanam.